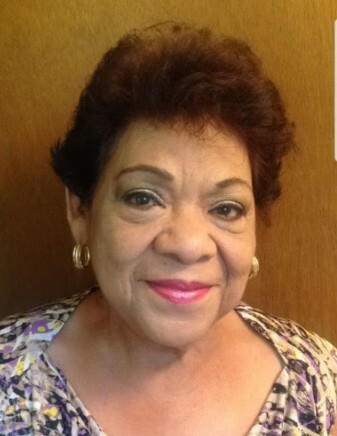 Soledad "Sally" Boyer, also lovingly called Josefina by her daughter, was 68 years young when she was called home on March 30, 2019. Soledad was born April 7,1950 in El Paso, Texas to Jose Maria and Ignacia Magdaleno. They came to Arizona when she was 7 years old and she attended school in Benson, AZ. She met and fell in love with Conrad "Bob" Boyer and they married in 1969 at Our Lady of Lourdes Catholic Church in Benson. She was most fondly remembered as the floral manager at the Benson Safeway. She had an incredible smile for everyone. Soledad fought bravely and lived life the way she wanted before succumbing to the heartbreak of cancer. Soledad is survived by her only child Sandra Clark (Lael), grandchildren Siara (Jordan), Ryan (Kylie). Her sister Lorenza (Roy), brothers Joe (Magda), Johnny (Armida). Nieces Blanca, Angelica, Valerie and nephews JR, Jose, Jerry, Alexis, Christopher and Jesse, and many great nieces and nephews. She is preceded in death by her loving husband of almost 50 years.She was loved by so many. The most beautiful Josefina ever.